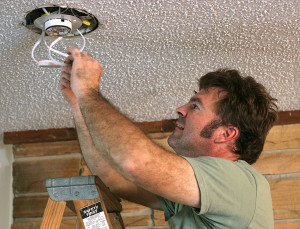 The licensed electricians at VMA Electric have been the trusted choice of homeowners in Sudbury, Massachusetts, and other nearby communities since 2008. We’ve developed a reputation for providing the highest level of service because we make sure our technicians have the training and experience needed to be able to tackle every type of job. Our staff electricians average more than a decade on the job, and our company puts an emphasis on training so that our technicians are always ahead of the curve in regard to technology. No matter what type of services you need, you can expect an unequaled level of customer service to be provided by the electricians at VMA Electric. To ensure this is the case, our owner, Victor Archila, tries to be involved in every job we do to make sure his high standards are being met. Contact the electricians at VMA Electric today to learn more about the wide variety of electrical services we provide for residents of Sudbury, MA, and other nearby communities.